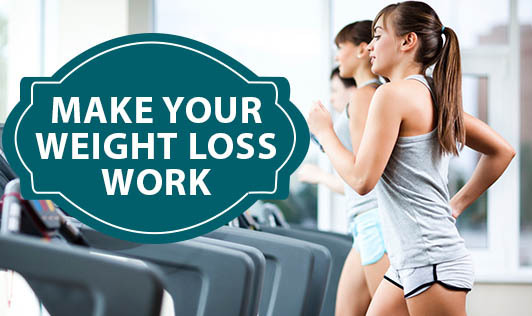 Make a firm commitment to lose weight. Do not allow anyone's influence change your mind about your goal. Think of all the benefits of losing weight. Believe in yourself and your weight loss goal. Get emotional support if required. Be realistic. Aim to lose 2 to 4 kg per month. Even if you lose less than 2 kg, it doesn't matter as long as you are on the right track. Learn to enjoy healthy meals. Change your food intake according to your dietitian's prescription. Do not fall for diet stories, myths and unqualified advice. Check with your dietitian if you have any doubts, however minor. Get active and stay active. Weight loss will not work without your physical movement. Small changes can result in great benefits in the long run. Enjoy the process of weight loss rather than get stressed about it.